A dirty blower wheel does not move enough air to keep the coil warm enough to prevent freezing. Ice starts forming and quickly covers the entire coil resulting in water leaking from the air conditioners into the furnace. Use the coupon at the top of the page for a $39 air conditioner evaluation and tune up. We can solve this air conditioning problem for you. Dirty evaporator coils are insulated from the heat traveling through the system. This insulation reduces efficiency and can lead to ice buildup causing the furnace to leak water all over your home. Mold and mildew can build up on the coils, the floors and walls causing extensive damage. Use the coupon at the top of the page for a $39 air conditioner evaluation and tune up. We can solve this air conditioning problem for you. 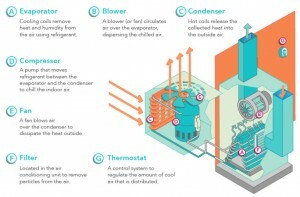 Often we find that the blower motor serving an air conditioning system is on the wrong speed. Nearly every blower motor is equipped with at least 3 speeds. Air conditioning should normally be set on high speed. Use the coupon at the top of the page for a $39 air conditioner evaluation and tune up. We can solve this air conditioning problem for you. As corrosion starts in on older evaporator coils, evaporator coils older than 10 years typically, the corrosion acts as an insulator not allowing the correct amount of heat transfer. The occupants of the home suffer with reduced cooling and high electrical bills. Use the coupon at the top of the page for a $39 air conditioner evaluation and tune up. We can solve this air conditioning problem for you. There are four different types of Freon control devices for evaporator coils, capillary tube, fixed orifice, thermostatic expansion valve and electronic thermostatic expansion valve. Every one of these Freon control devices can experience problems and as the evaporator coil ages so do the controls and they become more prone to failure. Use the coupon at the top of the page for a $39 air conditioner evaluation and tune up. We can solve this air conditioning problem for you. If the air ducts are large enough or are crushed the airflow will be greatly reduced and this can lead to the air conditioner cooling coil developing ice and flooding the home. 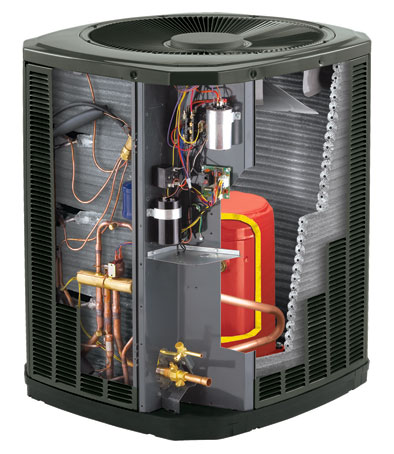 Use the coupon at the top of the page for a $39 air conditioner evaluation and tune up. We can solve this air conditioning problem for you.